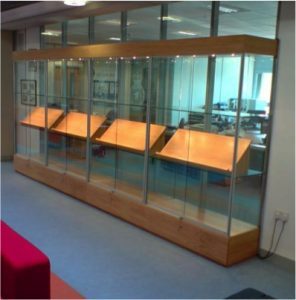 In many cases, the display cabinet you are looking for may not be available off the shelf. 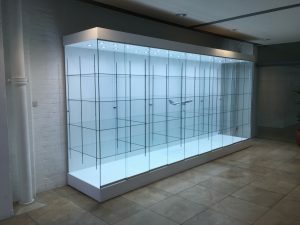 Heron Cabinets specialise in manufacturing beautiful bespoke glass cabinets to your own design and space. 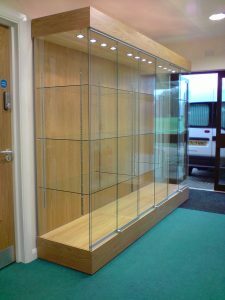 You may be looking for a Modern trophy cabinet, or a more traditional display cabinet to match your surroundings. 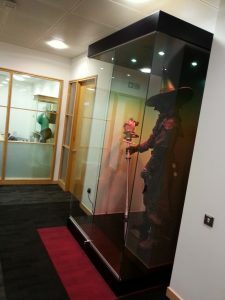 We can work with your designs and will be happy to add our expertise to ensure the end product is exactly what you need. 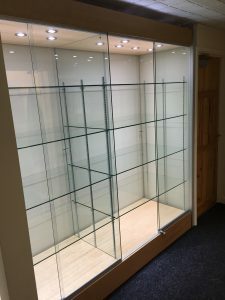 Manufactured installed by our own skilled craftsmen, and with our own joinery manufacturing workshop, in-house finishing & polishing room & glass UV bonding department, we are certain you will be more than happy with your investment. 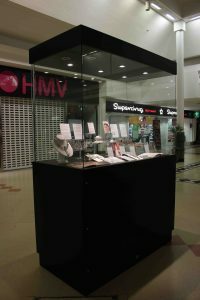 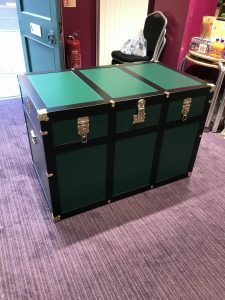 If you are looking for a quotation for a bespoke display cabinet, you can either or alternatively, you can fill in the form below to help you think through what you want, and to provide us with basic information. 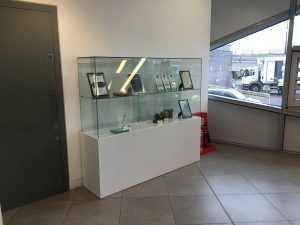 We may then have enough detail to provide an estimate, or someone may contact you to discuss anything else we need to know. 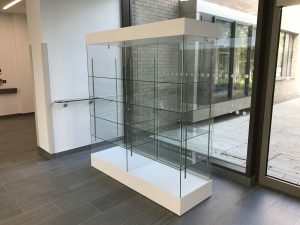 UV BONDED UNITS ONLY: Wooden Base / Plinth Required? 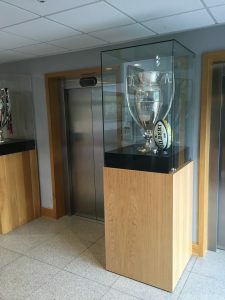 If YES enter height of Base?